Palestine, Iraq, Kuwait, Qatar, Bahrain and United Arab Emirates (UAE) will not beat us," said Iran's military adviser Major General Seyyed Yahya Rahim Safivi, as quoted by the Jerusalem Post, Thursday (11/23/2011). "They might strike some sectors of our missile defense, but we had missiles in large numbers. They can not destroy it," he said. Safivi also said the entire area of ​​Israel, it has become the target of long-range missile Iran. In addition, Iran's military adviser, adding that Iran's Revolutionary Guards have started watching the movements of Israel and the U.S. who already hold a military exercise. U.S. missile defense system is also considered a threat to Russia. 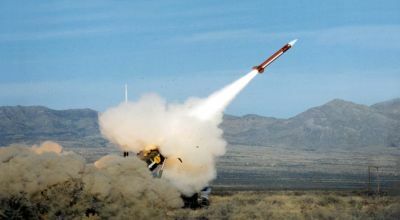 Many Russian military experts said that U.S. missiles were intended to attack Iran. But the U.S. also has said his country will not carry out attacks on Iran.